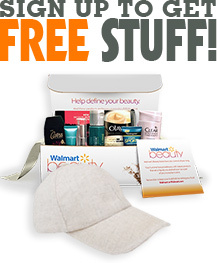 Get A Free Alles Restore Skincare Pack! What is Alles Body? The German word meaning “EVERYTHING”, because that’s exactly what we do for your body, everything. -Aloe Vera ( al-oh, ver-ah ) the most useful succulent. Added into our Restore cream for its’ anti-inflammatory properties and to help calm acne and redness. A gentle yet potent hydration agent for your skin. -Turmeric ( tər-mə-rik ) is from the ginger family and added to help lessen wrinkles, acne, blackheads and keep the inflammation down. Its vibrant color lends to the rich, earthy color of the cream. -Coconut is a wonderful moisturizer and has a natural sun protection factor. It will keep your skin silky smooth and also protect against some harmful bacteria. -Cupuacu Butter. Smooth. Firm. Skin. This plant based butter helps to regrow skin that has been damaged or neglected. It absorbs quickly without feeling greasy or leaving a residue. It makes your skin glow! Super youthful and smoother skin! Highly recommended to anyone looking for a great moisturizer!